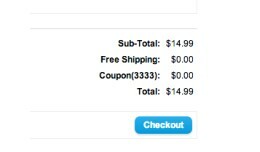 Description: ============ Shipping to Canada via USPS become troublesome lately? The latest USPS API update broke your shopping cart. 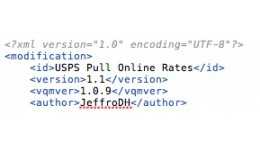 Never fear, for this VQMod extension will handle your problems. It handles the tag problem, sure. But it..
New Release! 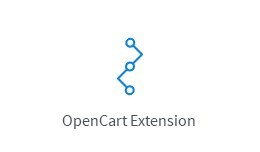 Supported OpenCart Versions: ================ 1.5.5, 1.5.5.1, 1.5.6 This module may support other versions in the future, and may be ported to provide support for 1.4.x as well. What does it do? ================ Changes t.. This mod forces USPS to display commercial/online rates for domestic shipping when they are available. For First-Class and other methods that do not have commercial rates, the normal rate is shown. Simply move the XML file into the /vqmod/xm.. Description: ============ This extension allows you to import customer data from osCommerce and allow customers to use their old passwords. Additionally, it converts the stored data to the OpenCart authentication protocols on login so that .. 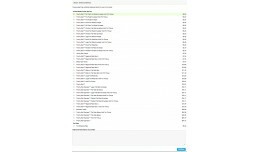 This mod displays the images associated with your option values as additional images on the product page. This streamlines the workflow when adding new products, as you don't have to put the images in the product AND the options_values page. 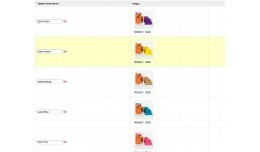 ..
[VQMod] Display Option Value Images on Product P.. This mod updates the main image on the product page. When you select an option that has an image defined, that image will appear. This behavior works on these input types: select, image, checkbox, and radio buttons. In order for this to w..